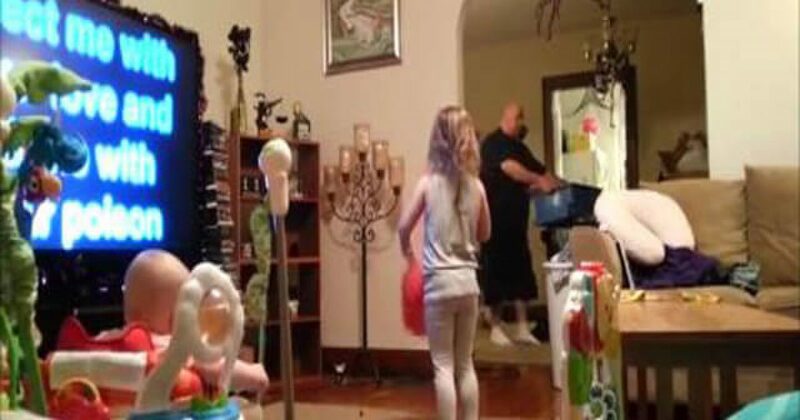 A husband and father was caught with his daughter on camera, and it shows just what the impact of a great father can be! He has the pompoms, he’s lip syncing to the music, and his daughter is giggling like mad! Seriously, watch this cute video.